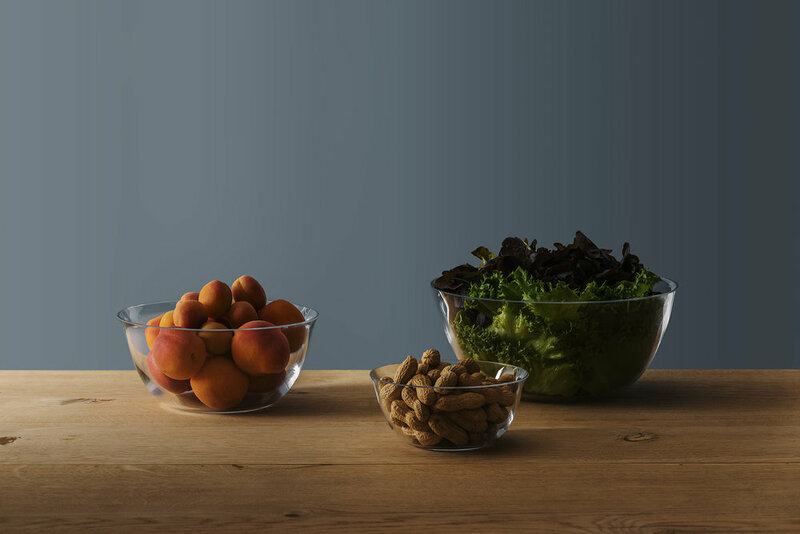 With the Favn bowls Magnor continue to focus on functional products for everyday use. The clean sides and convex bottom makes the bowls easy to use, whether you have prepared a salad for dinner or serving fruits or snacks to friends. Favn means "fathom" or "embrace" and refers to the spacious forms and the curved edge that invites you to pass them around the dinner table. The bowls are mouth blown and handmade by glassblowers with extensive experience. Favn comes in three sizes; 3.3 liters 1.5 liters and 0.5 liters and are dishwasher safe. The series was launched during Oslo Design Fair in September 2016.